Klarna UK head explains why merchants who embrace smoother processes will see greater customer satisfaction - and more orders. 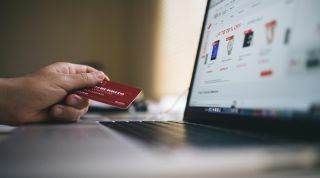 British companies have been praised for their willingness to sign up to new technology to ensure a smoother and more successful online shopping process. That’s according to the head of payment experts Klarna UK, who also hailed UK consumer’s approach to embrace new technology when it comes to shopping online. Speaking to ITProPortal, Luke Griffiths, MD of Klarna UK, noted that consumer flexibility in terms of payment methods is helping change merchant habits too. "From a payments perspective, the UK is definitely a different market to the US,” he said, “but what we do see consistently is a real demand for better consumer experiences through paying and checking out with merchants." Klarna, which moved into the UK in 2014 following great initial success in its home market of Sweden, has already seen significant pick-up of its mobile checkout tool among merchants of all sizes. "We saw there was a demand for a more customer-focused, mobile-optimised checkout solution," Griffiths says. "The over-riding feedback is that there's a real desire to improve the consumer experience, and for the payment to disappear into the background...we want to reduce friction from that payment process." Griffiths revealed that just shy of three million customers in the UK will have used Klarna’s services in some form, with the company counting the likes of the Arcadia Group and JD Sports as clients here. Klarna’s services have attracted a lot of attention for the amount of flexibility they offer consumers and merchants alike, with Griffiths saying that the company’s main aim is to take the friction out of the checkout process. This includes a “pay after delivery” option, which allows consumers to order their goods, receive them, but only pay after either 14 or 30 days if they are fully satisfied. Targeted mainly towards the fashion online retail space, Griffiths notes that this service has seen great pick-up from both merchants and customers, with the former seeing increased conversion and a drop in returns (as buyers become more confident that they will only pay for the goods they want to keep) and the latter getting a more successful online transaction and “turning the sitting room into the fitting room”. The company is also now moving into P2P payments and even potentially banking, having recently been granted a banking licence in the UK, and launched its Wavy app in Europe. Griffiths notes that the move will see Klarna look to extend its consumer experience offerings to more users than ever before, and hopefully motivate more merchants to up their game too. "As people's lives become more digital, that form of sharing of money is only going to increase,” he says, “and as we build our consumer network, that relationship will only expand."